Time is money. Know how you spend it online. shows you how much time you spend on Facebook or how long your children watch cartoons per a day / a week / a month. 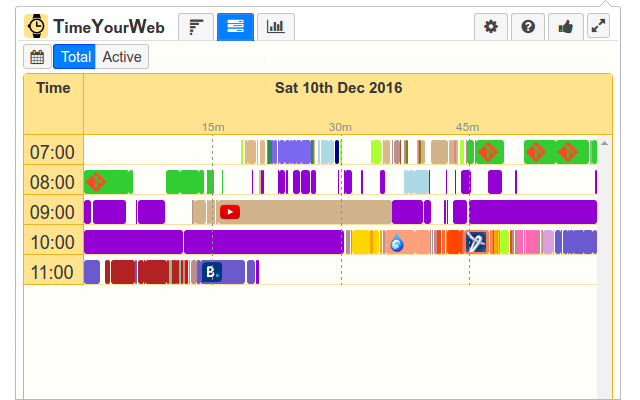 helps you to investigate your Internet activity like under the microscope. See when and how long you are watching any page. gives bird's-eye view to your Internet activity. See how your Internet activity changes during a month. 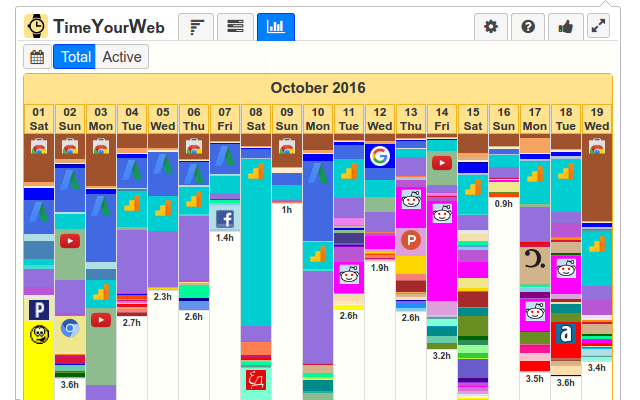 TimeYourWeb is the most detailed time tracker Chrome browser extension. 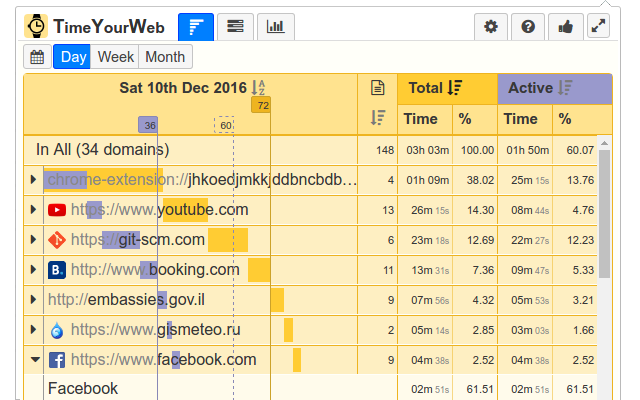 Order domains by total or active time or visited pages. See summary of your activity per a day, a week or a month. Distinguish "active" and "total" time duration spent on any page. Know where you were in any moment of a day. Observer your online habits during the long period. You can click and revisit any page from your history. TimeYourWeb is only for "Google Chrome" now. We are sorry. Try it in "Google Chrome"